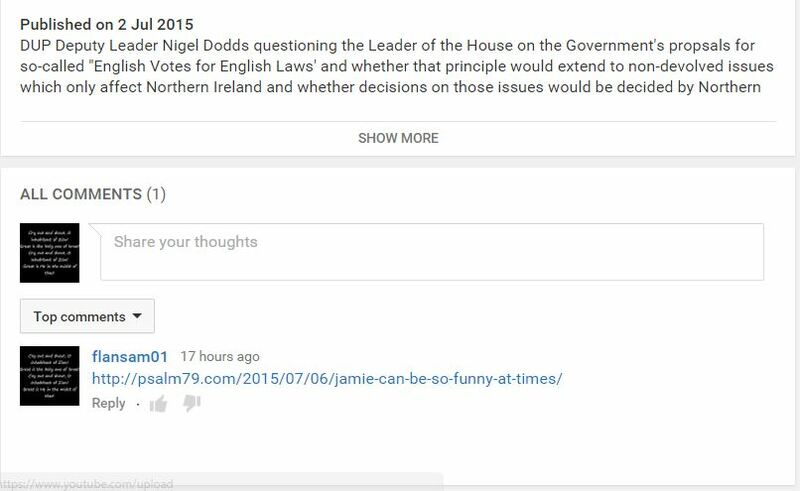 The Kincora Old Boys have not replied to my comment which I made on their youtube channel. Just thought of another comment to leave on it. I will ask if a man called “Campbell” was ever a member of the DUP? The Campbell in question is the guy referred to in The Demon Pastor Revealed article. Perhaps some MSM whore would care to ask Peter Pinnochio Punt the same question when they get the chance? I am pretty certain the guy referred to in the Lundyletter article, is not the “Campbell” in the video, so it must be some other Campbell.